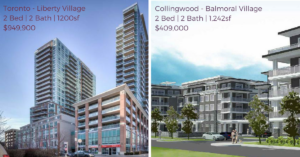 Collingwood, ON (December 16th, 2016): Collingwood, Ontario’s best four season’s active lifestyle region is feeling the effects of the GTA’s over-heated real estate market. The lust for a healthier, simpler and fuller lifestyle is driving once city dwellers to tranquil, traffic-free, recreation-rich, lower-priced areas like South Georgian Bay, and Collingwood is at the centre of this four seasons paradise. Here, a typical condominium purchase is far from the relaxed process it once was. There is a lack of supply met with ever-increasing demand creating a highly competitive environment in the area, one where multiple offers and over asking price offers have become commonplace. Balmoral Village, a master planned, Adult Lifestyle, mixed-use community development, is a much-needed answer to the drastically low inventory in the region. Currently, under way, construction efforts will wrap up by 2017’s eve and a series of state of the art homes will be ready for dwelling. In this heated environment, future planning is essential for those interested in entering the market in the Collingwood area on a specific timeline. Balmoral offers a unique and flexible reservation program which allows buyers to secure their home without a full financial outlay. A simple reservation with nominal deposit means buyers have an extra grace period, to finalize their moving and financial plans. 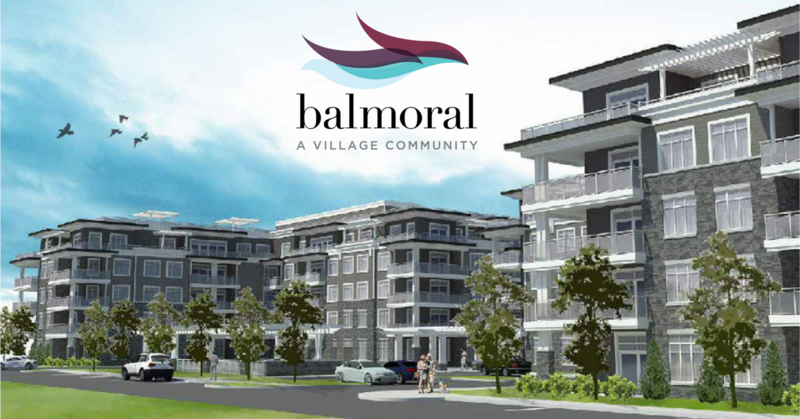 The Exclusive Condominiums at Balmoral Village not only boast spacious rooms and balconies, but are part of an active lifestyle community like no other offered in Ontario. The community will be host to a holistic health centre focussed not on treatment, but on healthy living and prevention, an interactive health club, restaurant, community centre and more. Best of all is perhaps the idyllic location suited to accommodate a four-season active lifestyle. Reservations have begun to steadily flow in from a balanced mix of both local residents and those keen on moving from the GTA. Interested parties are encouraged to register online to receive information on the development. Otherwise, a sales office is located across from the construction zone with visiting hours. 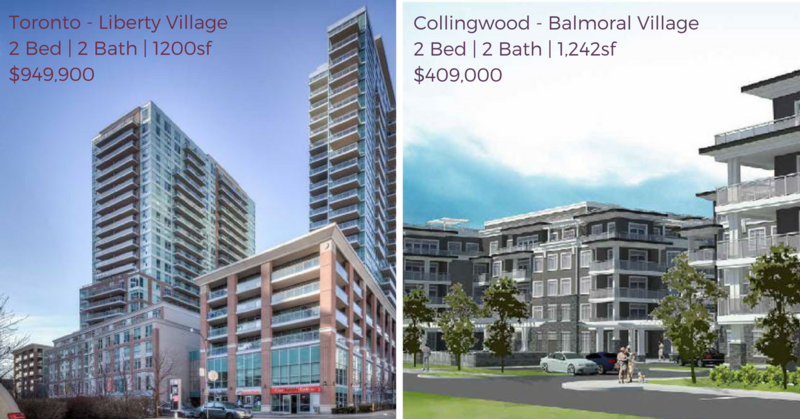 Above: a price comparison of a similar condo in Liberty Village, Toronto and a brand new Exclusive Condominium Living in Balmoral Village… not to mention the fresher, cleaner air, access to fresh water and plenty of greenspace, and so much more! Long story short; your money goes a lot further in Collingwood, and so will you!